Jason Anders: You got your start in animation in 1976 with the television series Schoolhouse Rock! ; how did that job come about, and did you have any experiences working with Tom Yohe? Mark Mayerson: I only worked on one Science Rock segment in 1977. Al Eugster did me a favor and brought me in to help hit a deadline. Usually, Al did all of the Science Rock segments for Kim and Gifford Productions. As the junior animator on one segment, I really didn't have any interaction with Tom Yhoe. JA: Many animators who worked in television throughout the eighties have claimed that it was the lowest point for cartoons, recycling the same story ideas into rushed drawings and poor overall quality. What were your thoughts on the industry during that time, and have they changed in retrospect? MM: I spent most of the eighties working on television commercials, both drawn and computer animated. I also worked on some television specials, and one series. There's no question that the eighties was a poor decade, but a lot of the foundation of the nineties resurgence was built during that time. 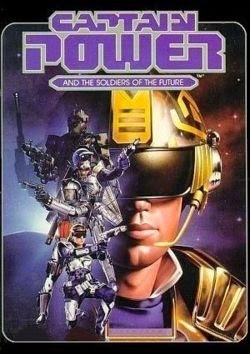 One of the things I worked on was the first television series to include computer animated characters, Captain Power and the Soldiers of the Future. 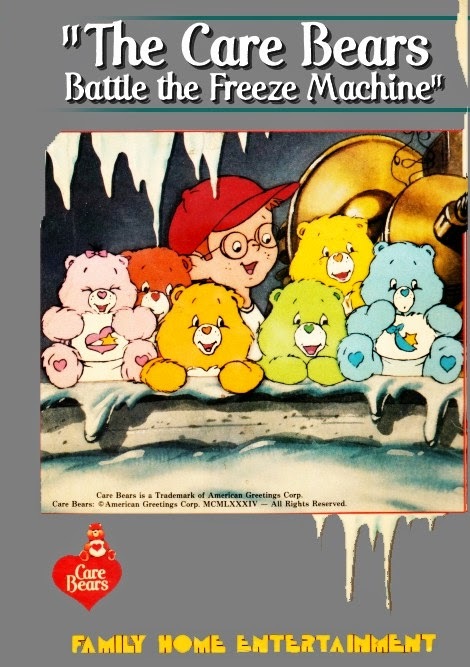 The series was one of the many in the eighties built on a toy line, this one from Mattel. The main part of the series was live-action, and the CGI characters were a couple of robot villians. The writers had little interest in developing them as characters; they were used more as animated punching bags. One of the toys were able to read a signal off the television, so that you could shoot at the bad guys with it. The signal would then tell you if you hit them or not. It was sort of a very crude version of a first-person shooter video game. The best material that I worked on in the eighties was a series of television specials for Michael Sporn Productions. Michael has always been handicapped by low budgets, but he's one of the most intelligent producer-directors working in animation. JA: After being an animator for The Emperor's New Clothes in 1993, it would be three years before you would produce Monster By Mistake, a project which you also wrote and directed. What was your experience like going from animator to producer? MM: The first Monster By Mistake television special aired in 1996. My goal was to be a writer-director. Producing was a duty taken on to help get the show made, rather than an ambition of mine. The other issue is that, in television, nobody knows what producers do, but they have the only job title that anyone respects. My duties involved hiring the animation crew and having a say in the voice casting. JA: What do you make of the current state of animation and where it's headed? MM: In many ways, animation is healthy right now and technically very sophisticated, but there are big weak spots. The television business is declining. Budgets are getting lower, and there are fewer independents able to get shows off the ground. There's a lot of reliance on Flash and Toon Boom software, but a lot of the animation that comes from these packages are stiff and repetitive, because the people using them take the easy way out. On the feature front, animation is as sophisticated as it has ever been; but due to high budgets and marketing costs, studios generally play it safe and only aim their films at the family audience. The stories are getting stale because the subject matter is so restricted. Persepolis is probably my favorite feature of the last several years simply because it tackles more challenging subject matter. The video game business appears to be healthy, and certainly the games are more visually sophisticated than they've ever been before. I'm waiting for somebody to create a property on the web that will break out into a mainstream hit. When that happens, I think the ground is going to shift significantly. I keep urging people to create their own ideas and get them to an audience via the web. JA: What led you into teaching animation at Sheridan College, one of Canada's premier polytechnic institutes? MM: I was unable to sell another television series after Monster By Mistake, and there were no job opportunities in Toronto that were interesting to me. The animation industry in Toronto is heavily concentrated in television work, and the business is in decline. It seemed like a good time to try something else. I enjoy teaching a lot. Working with students is somewhat simular to directing animators on a show. In both cases, my job was to improve what ends up on the screen. The faculty and students at Sheridan are a terrific bunch of people who all love animation. JA: Who would you label as your favorite animation director currently in the business? MM: I have several. I think that Michael Sporn is vastly underrated and under appreciated. His television special, Abel's Island, is a genuine classic made on a low budget. I don't think there's anybody in North America directing better than Brad Bird. I hope that we don't lose him to live-action for good. If he returns to animation, I hope that he is willing to broaden the ideas that drive his central characters. Eric Goldberg is immensely talented, but rarely finds himself in a position to do the work he's suited for without interference. 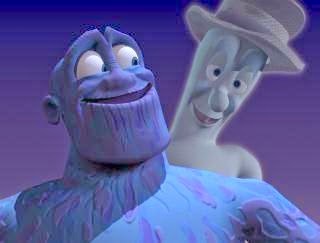 His Rhapsody in Blue from Fantasia 2000 is a small masterpiece. You can't talk about animation directors without mentioning Miyazaki. 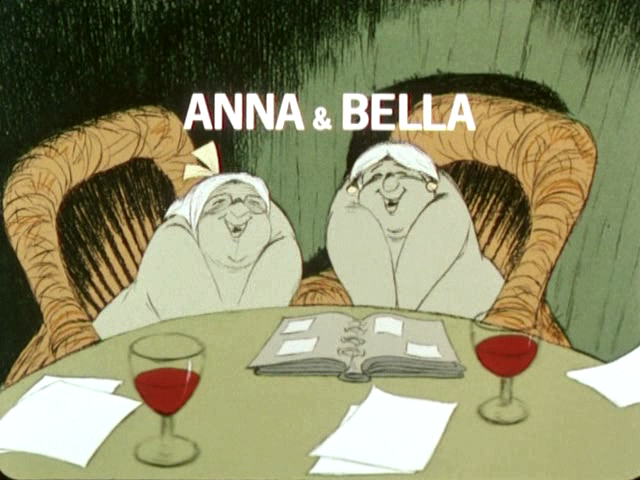 Every one of his features is at least interesting, and several are among the greatest animated features ever made. JA: If there were one piece of animation you would select to preserve for personal significance, which would it be and why? MM: Anna and Bella by Borge Ring. I love the design and subject matter. I also love that Ring was able to breathe life into cartoon clichés by using them to comment on emotional truths. JA: What do you feel is the most important word of advice you have to offer aspiring artists? MM: If you depend on the animation industry to provide emotional satisfaction, you're doomed to frustration and disappointment. It may occasionally happen, but if it does, it is only a temporary situation. Find a way outside of work to satisfy your creative needs, so that the frustration doesn't overwhelm you. The other thing I would mention is to keep your life in balance. Eat right, get enough sleep, and spend time with people you care about. No film or television show ever made is worth dying for, especially when there will be another bunch of movies out next week. The fate of every television show is cancellation.